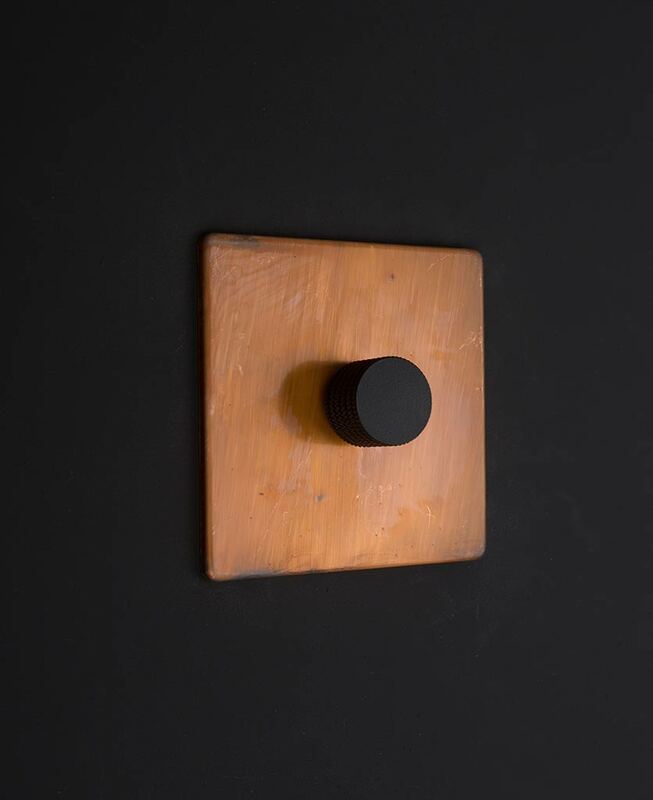 Say goodbye to boring white light switches, and a great big hello to our copper dimmer light switch. The colours, the finish and the feel are just so gorgeous that it actually makes switching a light on and off an exciting activity. We need to get out more you say? Don’t be ridiculous! We’re unashamedly going to big ourselves up here. 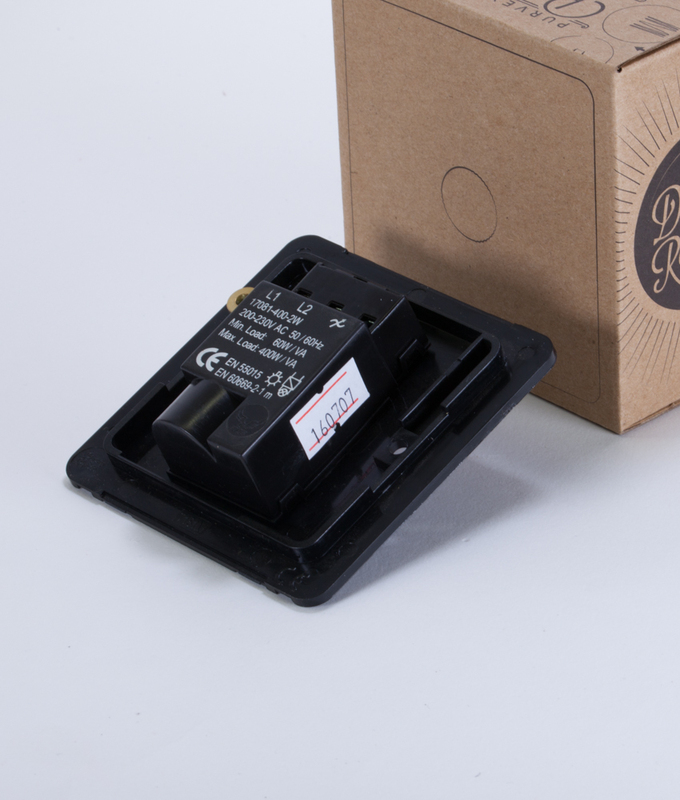 This beautiful dimmer switch was lovingly designed by us, making it totally exclusive to us too. We’re very particular about getting the look absolutely spot on, and we’ve definitely nailed it here. The distressed copper plate combined with the knurled knob gives it a really stylish and edgy look that you won’t see anywhere else. Seriously. The colours of these plates are absolutely superb too. There are deep shades of warm oranges and browns with the occasional streak of violet and purple running through. Each plate is a total one off and so will look a little different from our images. 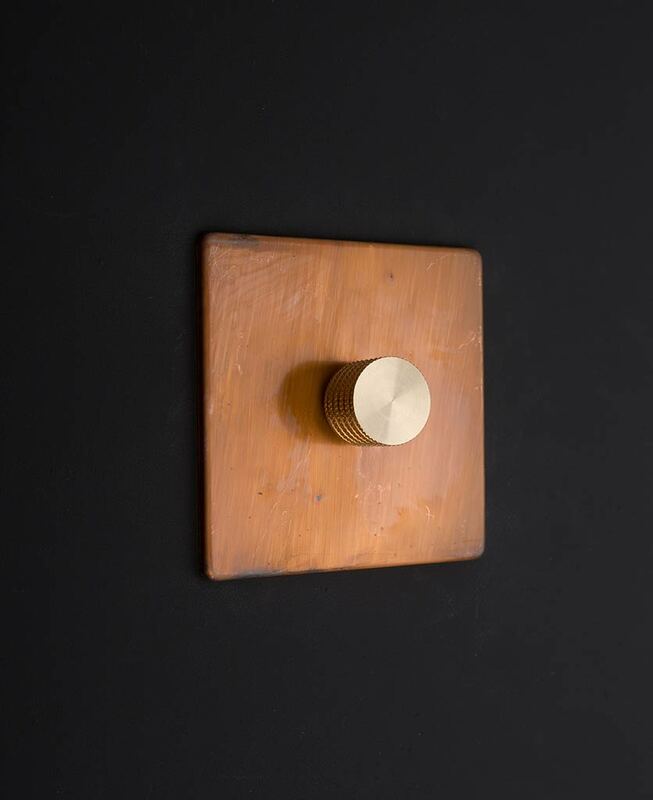 But that’s the beauty of this type of finish, it means that only you will own a copper single dimmer switch that looks exactly like that, so you’ll be the proud owner of your very own one-off masterpiece! And talking of unique, you can also choose from a range of four beautiful knurled knobs. The knurling gives it a really tactile and grippy finish to make turning it on and off really easy, even after lashings of hand cream. We particularly love the black one with this copper plate. 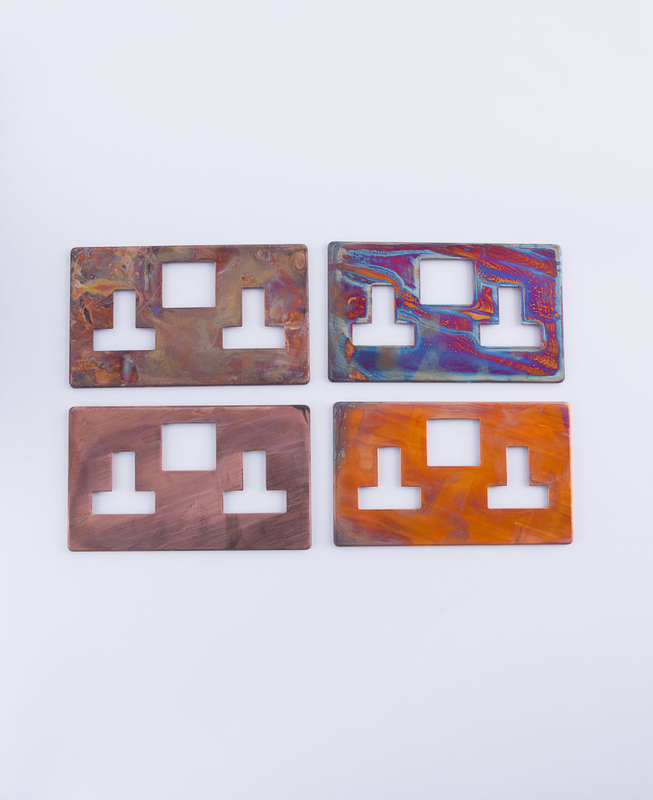 If you love this tarnished copper dimmer, check out the matching 2 gang dimmer switch and our other coordinating copper light switches. And if you’re a bit confused about all the light switch jargon, have a quick read of our guide light switches explained. It’ll clarify the difference between 1, 2 & 3 gang as well as when to use 1 way, 2 way and intermediate switches.